A number sign (#) is used with this entry because of evidence that Stargardt disease-1 (STGD1) can be caused by homozygous or compound heterozygous mutation in the ABCA4 gene (601691) on chromosome 1p22.Stargardt disease-3 (STGD3; 600110) is caused by mutation in the ELOVL4 gene (605512) on chromosome 6q14, and Stargardt disease-4 is caused by mutation in the PROM1 gene (604365) on chromosome 4.A locus for Stargardt disease mapped to chromosome 13q34 and designated STGD2 was found to be in error; the disorder in the family in which the linkage was made was correctly mapped to chromosome 6q14 (STGD3). One patient with a diagnosis of juvenile macular degeneration was found to be compound heterozygous for mutations in the CNGB3 gene (605080) on chromosome 8q. Fundus flavimaculatus (FFM) is an allelic subtype of Stargardt disease that has been associated with mutation in the ABCA4 gene and the PRPH2 gene (179605). FFM has a later age of onset. If loss of visual acuity begins in the first 2 decades, the designation Stargardt disease is preferred; if it begins later in life and has a more progressive course, the term FFM is preferred (Weleber, 1994). An early-onset severe form of retinal dystrophy (CORD3; 604116) is caused by homozygous null mutations in the ABCA4 gene. Stargardt disease is one of the most frequent causes of macular degeneration in childhood. It has onset between 7 and 12 years, a rapidly progressive course, and a poor final visual outcome. Although visual acuity is severely reduced, peripheral visual fields remain normal throughout life. Degeneration limited to the macular area of the retina was described in multiple sibs by Ford (1961) and by Walsh (1957).Fundus flavimaculatus, which is a form of fleck fundus disease (see 228980), derives its name from the occurrence of many yellow spots rather uniformly distributed over the fundus. In some older patients the flecks fade with time as atrophy of the retinal pigment epithelium (RPE) increases. Round, linear, or pisciform lesions are distributed in the posterior pole, sometimes with extension to the equator, and with macular involvement. Network atrophy of the retinal pigment epithelium, and choroidal vascular atrophy are features. Central visual loss, loss of color vision, photophobia, paracentral scotoma, and slow dark adaptation are features. This is probably an autosomal recessive disorder. Klien and Krill (1967)observed a ‘familial incidence…in 10 of 27 patients.’ The 10 familial cases included 4 pairs of affected sibs with ostensibly normal parents who were, however, not examined in most instances. No parental consanguinity was described. In 1 instance the father and 2 daughters were affected. In the instance of an affected brother and sister, the father was black and the mother white.Krill and Deutman (1972) concluded that recessive macular dystrophy was the disorder described and beautifully illustrated by Stargardt (1909), and also was the disorder that Franceschetti (1963) renamed fundus flavimaculatus. Krill and Deutman (1972)suggested the possibility of a rarer, phenotypically indistinguishable, autosomal dominant form. Hadden and Gass (1976) presented evidence that fundus flavimaculatus is the same as the Stargardt form of macular dystrophy. Pearce (1975) reported 4 families with 9 affected persons. In 1 instance, 2 affected persons married and both of their children were affected. Carpel and Kalina (1975)described 3 affected sisters. Isashiki and Ohba (1985) remarked on variable expression. Among the 3 children of normal first-cousin parents were a 12-year-old boy with bull’s eye macular change and sparse fundus flavimaculatus type flecks, and an 11-year-old girl with numerous fleck lesions of FFM throughout the posterior fundus and virtually no macular change. As pointed out by Weleber (1994), Rosehr (1954) found that 2 of the original patients described by Stargardt (1909), when seen almost 50 years later, still did not complain of night blindness and their visual fields were, at most, only mildly constricted. The macular regions showed marked atrophy in each patient, and 1 patient had peripheral pigment clumping and drusen. Stargardt disease is the most common hereditary recessive macular dystrophy, with an estimated incidence of 1 in 10,000 (Blacharski, 1988). Whereas Stargardt disease shows juvenile to young adult age of onset, the clinically similar retinal disorder fundus flavimaculatus often displays later age of onset and slower progression. Histologically the disorder is characterized by subretinal deposition of lipofuscin-like material. As pointed out by Meitinger (1997), Stargardt disease had always been considered to be a retinal degeneration originating in the retinal pigment epithelium, which underlies the photoreceptors, predominantly cones, of the macula. Thus, the findings of Allikmets et al. (1997) that it is a disease of the rods and that the particular mutant ABC transporter is expressed in rod photoreceptors but not in blue cones came as a surprise. To understand better the shared characteristics of Stargardt macular dystrophy and fundus flavimaculatus, Armstrong et al. (1998) surveyed 52 patients with STGD and 48 patients with FFM over a period ranging from 1 to 22 years. They found that morphologic changes and retinal function degeneration were more severe in patients with FFM than in patients with STGD. The duration of the disease had a greater effect on patients with FFM than on patients with STGD. Rotenstreich et al. (2003) reviewed the clinical findings in 361 patients with Stargardt disease. Eighty-two (23%) had visual acuity of 20/40 or better, whereas only 16 (4%) had acuity of worse than 20/400. The presence of foveal sparing on ophthalmoscopy was associated with a higher prevalence of 20/40 acuity or better. Survival analysis showed that the prognosis of patients who were seen initially with visual acuity of 20/40 or better was related to age at initial visit: the earlier the patient presented, the more rapidly the acuity was likely to decrease below 20/40. Chen et al. (2011) studied the relationship between macular cone structure, fundus autofluorescence (AF), and visual function in 12 patients with Stargardt disease and 27 age-matched healthy individuals. Patients were 15 to 55 years old, and visual acuities ranged from 20/25 to 20/320. At least 1 disease-causing mutation in the ABCA4 gene was found in 11 of the patients. High-resolution images of the macula were obtained with adaptive optics scanning laser ophthalmoscopy (AOSLO) and spectral domain optical coherence tomography (SD-OCT). Central scotomas were present in all patients, although the fovea was spared in 3. The earliest cone spacing abnormalities were observed in regions of homogeneous AF, normal visual function, and normal outer retinal structure. Outer retinal structure and AF were most normal near the optic disc. Longitudinal studies showed progressive increases in AF followed by reduced AF associated with losses of visual sensitivity, outer retinal layers, and cones. Chen et al. (2011) concluded that their findings support a model of STGD disease progression in which lipofuscin accumulation results in homogeneously increased AF with cone spacing abnormalities, followed by heterogeneously increased AF with cone loss, and then reduced AF with cone and RPE cell death. Radu et al. (2003) demonstrated that treatment with isotretinoin (Accutane), an agent used in the treatment of acne, slows the accumulation of lipofuscin pigments in the eyes of Abcr-null mice. The results corroborated a proposed mechanism of biogenesis of N-retinylidene-N-retinylethanolamine (A2E), the main lipofuscin pigment that accumulates in cells of the RPE in patients with STGD. Radu et al. (2003) suggested that treatment with isotretinoin may inhibit lipofuscin accumulation in patients with STGD and thus delay the onset of visual loss.Commenting on the work of Radu et al. (2003), Sparrow (2003) provided an explanation for the fact that the RPE cells underlying the macula have the highest accumulation of lipofuscin and that STGD primarily involves the center of the field of vision. He suggested that it is not a coincidence that the macula of the retina also has the highest concentration of 11-cis-retinal-containing visual pigment, a feature reflecting, in part, the packing density of cone and rod photoreceptor cells. The heightened capacity for photon absorption conferred by the density of visual pigment in the macula translates into a higher probability that all-trans-retinal will be available for A2E formation. Sparrow (2003) noted that the well-known cause of birth defects by orally administered isotretinoin would be problematic for female patients with STGD who might be treated with this agent.Shroyer et al. (2001) analyzed DNA from 8 patients with clinically confirmed chloroquine or hydroxychloroquine retinopathy. Two patients had heterozygous ABCA4 mutations previously associated with Stargardt disease. None of the 80 controls had these missense mutations. Three other patients had other missense polymorphisms. The authors concluded that some individuals with ABCA4 mutations may be predisposed to develop retinal toxicity when exposed to chloroquine/ hydroxychloroquine, and they urged further study of a larger cohort of patients with this retinopathy. Allikmets et al. (1997) commented that the accumulation in the retinal pigment epithelium (RPE) of a lipofuscin-like substance in STGD suggests that the site of ABCR-mediated transport may be on the apical face of the photoreceptor cell and that this transport may affect exchange between the RPE and the photoreceptors. The RPE participates in the continual renewal of visual pigments and of photoreceptor outer segments. The best-studied molecules that cycle between photoreceptors and the RPE are the retinoids. Allikmets et al. (1997) commented that if ABCR is involved in either export or import of retinoids, mutations in ABCR should lead to an accumulation of retinoids or their derivatives in the outer segment or the RPE, respectively. Histopathologic studies of the eyes in Stargardt disease, and its somewhat milder variant fundus flavimaculatus (FFM), show massive accumulation of lysosomal material similar to lipofuscin within RPE cells. Birnbach et al. (1994) additionally emphasized abnormal photoreceptor morphology and abnormal accumulation of lipofuscin in photoreceptor segments.Cideciyan et al. (2004) studied surrogate measures of retinoid cycle kinetics, lipofuscin accumulation, and rod and cone photoreceptor and RPE loss in STGD1 and CORD3 (604116) patients with ABCA4 mutations and a wide spectrum of disease severity. There were different extents of photoreceptor/RPE loss and lipofuscin accumulation in different regions of the retina. Slowing of retinoid cycle kinetics was not present in all patients; when present, it was not homogeneous across the retina; and the extent of slowing correlated well with the degree of degeneration. The orderly relationship between these phenotypic features permitted the development of a model of disease sequence in retinal degeneration due to ABCA4 mutation, which predicted lipofuscin accumulation as a key early component of disease expression with abnormal slowing of the rod and cone retinoid cycle occurring at later stages of the disease sequence. By genetic linkage analysis, using (CA)n microsatellite markers of known chromosomal location (Weissenbach et al., 1992) in 8 families, Kaplan et al. (1993) assigned the STGD locus to 1p21-p13. The combined maximum lod score was 6.88 at theta = 0.02 for the D1S236 locus.From linkage studies, Gerber et al. (1995) concluded that fundus flavimaculatus with macular dystrophy and Stargardt disease are probably allelic disorders despite differences in age at onset, clinical course, and severity. In 4 families with late-onset FFM with macular dystrophy they found linkage to 1p21-p13, in the genetic interval defined by microsatellite loci D1S435 and D1S415; maximum lod score = 4.79 at theta = 0.0 for D1S435. They considered 1p13 to be the likely location of the gene that is mutant in these allelic disorders. The age at onset ranged from 17 to 60 years in adult patients.By combined linkage analysis of 47 families with autosomal recessive STGD and/or FFM, Anderson et al. (1995) found significant linkage to marker D1S188 on chromosome 1p (maximum lod score of 32.7). Analysis of recombinants localized the disease locus to a 4-cM interval between D1S435 and D1S236. The findings indicated genetic homogeneity for STGD and FFM. Hoyng et al. (1996) carried out linkage analysis in 7 families with recessive Stargardt disease and confirmed the location of a major recessive STGD gene on chromosome 1p22-p21. The maximum 2-point lod score for all families combined was 5.35 at theta = 0.04 for the marker D1S188 and the disease locus. Hoyng et al. (1996) genotyped 9 markers in 7 families to construct haplotypes, and this enabled them to reduce the STGD critical region to 2 cM, flanked by D1S406 and D1S236. In 1 family they encountered an affected female who, on the basis of haplotype analysis, carried only 1 disease allele. Hoyng et al. (1996)proposed several possible explanations for this finding, including the occurrence of genetic heterogeneity and the possibility that dominant and recessive mutations may be observed at 1 gene locus. They reported apparent nonpenetrance in a 45-year-old male. Allikmets et al. (1997) performed mutation analysis of the ABCA4 gene in STGD families and identified a total of 19 different mutations, including homozygous mutations in 2 families with consanguineous parentage (see, e.g., 601691.0002).Shroyer et al. (1999) analyzed the ABCA4 gene in a 3-generation family manifesting both Stargardt disease and age-related macular degeneration (ARMD; see 153800), and identified heterozygosity for a missense mutation (P1380L; 601691.0026) in the paternal grandmother with ARMD, whereas the proband and his 2 paternal cousins with Stargardt disease were compound heterozygous for the P1380L mutation and another missense mutation in the ABCA4 gene (601691.0036 and601691.0037, respectively). Shroyer et al. (1999) suggested that carrier relatives of STGD patients may have an increased risk of developing ARMD.Single-copy variants of the ABCA4 gene have been shown to confer enhanced susceptibility to ARMD. By mutation analysis in a cohort of families that manifested both STGD and ARMD, Shroyer et al. (2001) found that ARMD-affected relatives of STGD patients are more likely to be carriers of pathogenic STGD alleles than predicted based on chance alone. Shroyer et al. (2001) used an in vitro biochemical assay to test for protein expression and ATP-binding defects, and found that mutations associated with ARMD have a range of assayable defects ranging from no detectable defect to apparent null alleles. Of the 21 missense ABCA4 mutations reported in patients with ARMD, 16 (76%) showed abnormalities in protein expression, ATP-binding, or ATPase activity. They inferred that carrier relatives of STGD patients are predisposed to develop ARMD. Bernstein et al. (2002) examined 19 of 33 sibs from 15 Stargardt families who carried their respective proband’s variant ABCA4 allele. Some families exhibited concordance of ABCA4 alleles with the macular degeneration phenotype, but others did not. Exudative ARMD was uncommon among both probands and sibs. Weleber et al. (1993) reported the occurrence of 3 separate phenotypes within a single family with a 3-bp deletion of codon 153 or 154 of the RDS gene (179605.0017). The mother presented at age 63 with adult-onset retinitis pigmentosa (608133) that progressed dramatically over 12 years, with marked loss of peripheral visual field. One daughter developed pattern macular dystrophy (169150) at age 31 years. At age 44 years, her ERG was moderately abnormal, but her clinical disease was limited to the macula. Another daughter presented at age 42 years with macular degeneration; over 10 years, she developed a clinical picture of fundus flavimaculatus. Her peripheral visual field was preserved but her ERG was moderately abnormal. A son had onset of macular degeneration at age 44 years. Pericentral scotomas were present and ERG was markedly abnormal. Fingert et al. (2006) reported a case of Stargardt disease in a patient homozygous for a mutation in the ABCA4 gene (601691.0026) as a result of uniparental isodisomy of chromosome 1. The patient’s father was heterozygous for the mutation. In a patient with juvenile macular degeneration in whom mutation in the ABCA4 gene was excluded (Briggs et al., 2001),Nishiguchi et al. (2005) identified mutations in the CNGB3 gene (605080.0002 and 605080.0006). Stargardt disease had not previously been associated with mutations in the cone channel subunits. Pal Singh et al. (2006) identified homozygous null ABCA4 mutations (601691.0028–601691.0029) causing autosomal recessive nonsyndromic retinal dystrophy in 2 Indian families. Affected individuals in both families had early-onset visual loss, diminished rod and cone electroretinographic responses, and widespread atrophy of the retinal pigment epithelium. Rozet et al. (1998) reported a genotype/phenotype correlation in ABCA4 gene mutations. They found that nonsense mutations truncating the ABCA4 protein consistently led to Stargardt disease, whereas all mutations they identified in the ABCA4 gene in fundus flavimaculatus were missense mutations affecting uncharged amino acids.In a family segregating retinitis pigmentosa-19 (RP19; 601718) and STGD1 in 2 first cousins, Rozet et al. (1999) found that heterozygosity for a splice acceptor site mutation in the ABCA4 gene (601691.0017) resulted in STGD1, whereas hemizygosity for this mutation resulted in RP19. In the patient with RP19, a partial deletion of the maternal ABCA4 gene was presumed to be the source of a null allele, although this was not conclusively proven. Sometimes the condition has been called central retinitis pigmentosa or retinitis pigmentosa with macular involvement. However, ordinary retinitis pigmentosa does not affect the macula. 6. Blacharski, P. A. Fundus flavimaculatus.In: Newsome, D. A. (ed.) : Retinal Dystrophies and Degenerations. New York: Raven Press 1988. Pp. 135-159. 12. 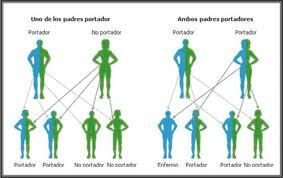 Ford, F. R. Diseases of the Nervous System in Infancy, Childhood and Adolescence. Springfield, Ill.: Charles C Thomas (pub.) 1961. Pp. 358-359. 13. Franceschetti, A. Ueber tapeto-retinale Degenerationen in Kindesalter.In: Entwicklung und Fortschitt in der Augenkeilkunde. : :Stuttgart: Enke Verlag (pub.) 1963. Pp. 107-120. 26. Rosehr, K. Ueber den weiteren Verlauf der von Stargardt und Behr beschriebenen familiaeren Degeneration der Makula. Klin. Monatsbl. Augenheilkd. 124: 171-179, 1954. 33. Stargardt, K. Ueber familiare, progressive Degeneration in der Makulagegend des Auges. Albrecht von Graefes Arch. Klin. Exp. Ophthal. 71: 534-549, 1909. 34. Walsh, F. B. Clinical Neuro-ophthalmology. Baltimore: Williams and Wilkins (pub.) (2nd ed.) : 1957. Pp. 673-674. A number sign (#) is used with this entry because of evidence that Stargardt disease-3 (STGD3) results from mutation in the gene encoding elongation of very long chain fatty acids-4 (ELOVL4; 605512).For a general phenotypic description and a discussion of genetic heterogeneity of Stargardt disease, see 248200. In most instances macular dystrophy with flecks (Stargardt disease) shows an autosomal recessive pattern of inheritance; see248200. Cibis et al. (1980) reported an extensive family with an apparently dominant form of macular dystrophy with flecks. Some patients had no flecks. The authors thought there was insufficient evidence to place the disorder in the category of ‘cone dystrophy,’ and stated that ‘cone dystrophy is never associated with the fundus flavimaculatus flecks synonymous with Stargardt’s disease.’ The pedigree contained 34 affected individuals distributed in many sibships over 5 generations. No evidence of male-to-male transmission was observed, but there were 4 daughters of affected males who were said to be unaffected.Stone et al. (1994) described a large family with a macular dystrophy whose main clinical features were similar to those of Stargardt disease, but inherited in an autosomal dominant fashion. Affected persons had normal vision in early childhood but began to experience difficulty with central vision between 5 and 23 years of age. Fundus examination early in the disease course revealed flecks in the macula. Central atrophy developed later, with visual acuity decreasing to 20/200 or worse in all patients older than 31 years. Fluorescein angiography failed to show a silent or dark choroid. The ERG was near normal in younger affected individuals and was most notable for prolonged ‘implicit times’ in a 73-year-old patient. The progressive nature of the disorder in the family reported by Stone et al. (1994) was a clinical feature distinguishing it from the North Carolina form of macular dystrophy (MCDR1; 136550).Griesinger et al. (2000) reported a family with autosomal dominant macular dystrophy characterized by progressive retinal pigment epithelial atrophy in the macula without apparent peripheral involvement by ophthalmoscopy or functional studies. Acuity loss progressed with age and generally was worse in the older affected individuals. The rod and cone function remained normal or nearly normal in all tested affected members up to 61 years of age. The phenotype in this family was similar to Stargardt-like macular degeneration except that (1) color vision for all affected individuals but 1 was very good or normal and did not correlate with acuity loss, and (2) all affected fundi showed slight darkening of the fluorescein angiogram background, but none had the stark black ‘dark choroid’ observed in Stargardt disease. Linkage studies by Stone et al. (1994) in an extensively affected family with an autosomal dominant form of Stargardt-like progressive macular dystrophy demonstrated that the disease-causing gene was located near the centromere on 6q; maximum lod = 5.50 at theta = 0.0 with marker D6S280. Multipoint analysis resulted in a peak lod score of 6.2 in the interval between markers D6S313 and D6S252 and excluded the interval containing the North Carolina macular dystrophy gene (MCDR1), which had been mapped to 6q14-q16.2. Presumably the disorder in the new family maps to the region 6cen-q14.Zhang et al. (1994) studied a large Indiana family with Stargardt disease inherited as an autosomal dominant. Because of some similarities to Best disease (153700), which maps to 11q13, linkage studies were performed that excluded a location on that chromosome. Although Zhang et al. (1994) found linkage to chromosome 13q34 in this family, Zhang et al. (2001)reported additional clinical studies of children in this family who were initially too young to establish a diagnosis. Genetic linkage and haplotype analyses of these children placed the disease gene for the Stargardt-like phenotype in this family to the STGD3 locus on 6q14 (maximum lod of 9.66 at theta of 0.0 with D6S460), thus eliminating the previously suggested locus (STGD2) for an autosomal dominant Stargardt-like phenotype on 13q34.Griesinger et al. (2000) performed haplotype analysis in a family with autosomal dominant macular dystrophy and localized the disease gene to an 8-cM region at 6q14, within the 18-cM interval of STGD3 but excluding the cone-rod dystrophy-7 (CORD7; 603649) and MCDR1 (136550) loci. The mapping interval overlapped with that of retinitis pigmentosa-25 (RP25;602772). The authors concluded that the autosomal dominant macular dystrophy, STGD3, and RP25 loci may be allelic. Donoso et al. (2001) characterized a disease-associated haplotype in 7 families with autosomal dominant Stargardt-like macular dystrophy and determined that the families shared a common ancestor. They examined 171 patients and genotyped 145 samples. They concluded that most reported cases of autosomal dominant Stargardt-like macular dystrophy in North America are part of a single larger family, consisting of 31 branches and 2,314 individuals, associated with a gene locus on chromosome 6q16. They refined the critical region for the gene to approximately 1,000 kb on chromosome 6q16 and eliminated part or all of 9 candidate disease-causing genes. They found that the DNA haplotype associated with disease was useful in excluding individuals with phenotypically similar retinal conditions. In the large Utah family with STGD3 reported by Bernstein et al. (2001) to have a mutation in the ELOVL4 gene (605512.0002), Hubbard et al. (2006) found evidence that the phenotypic diversity of family members may be due to differences in dietary fat intake as reflected by adipose and red blood cell lipids. In all affected members of 5 families with STGD3 or ADMD, including the family reported by Griesinger et al. (2000), Zhang et al. (2001) identified a 5-bp deletion in the ELOVL4 gene (605512.0001).In all affected members of a family with a dominant Stargardt-like macular dystrophy, Bernstein et al. (2001) identified a complex mutation in the ELOVL4 gene in which two 1-bp deletions (605512.0002) separated by 4 nucleotides resulted in a frameshift and truncation of the ELOVL4 protein. The effect of this mutation was similar to that of the previously described 5-bp deletion. The authors concluded that the discovery of a second mutation in the ELOVL4 gene segregating with macular dystrophy confirms the role of this gene in a subset of dominant macular dystrophies with a wide range of clinical expression. They asserted that their work suggests a role for modifying genes and/or environmental factors in the macular dystrophy disease process.Maugeri et al. (2004) studied a European family with characteristic features of STGD3. A novel ELOVL4 tyr270-to ter (Y270X) mutation (605512.0004) was detected in affected individuals. Transfection studies indicated that, unlike wildtype ELOVL4, the mutated protein did not localize to the endoplasmic reticulum but rather appeared to be sequestered in an aggregate pattern in the cytoplasm. Karan et al. (2005) generated transgenic mice expressing the 5-bp deletion mutant form of ELOVL4 (605512.0001). They found that the mutant ELOVL4 exerted a dominant effect on the accumulation of undigested phagosomes and lipofuscin by the retinal pigment epithelium (RPE), which was followed by RPE atrophy. Subsequently, photoreceptor degeneration occurred in the central retina in a pattern closely resembling that of human Stargardt-like macular dystrophy and age-related macular degeneration (see 153800). Karan et al. (2005) concluded that these ELOVL4 transgenic mice provide a good model for both STGD and dry ARMD.